The eastern portion of Washington County is a must-see area for thrill seekers and nature lovers. Wayne National Forest covers more than a quarter of million acres of Appalachia foothills and has 300 miles of trails – perfect for hiking, mountain biking, and rock climbing. Grab your friends for an outdoor adventure! 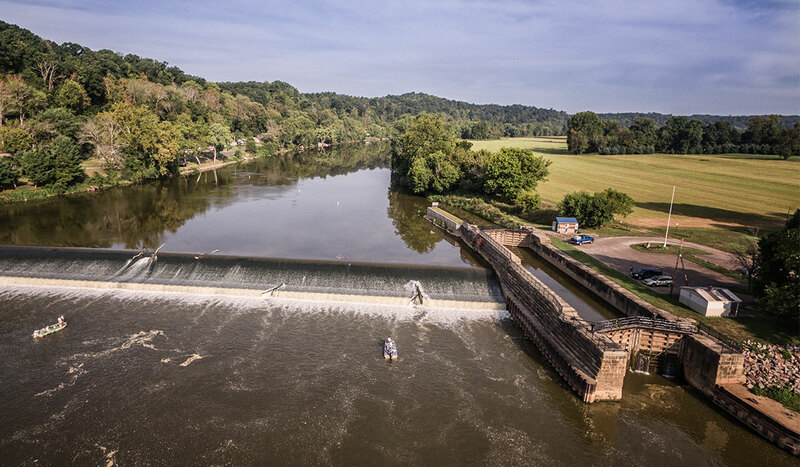 Fisherman also flock to this area to reel in a catfish at one of the best fishing spots in the state at Willow Island Lock and Dam. In addition, families can make warm fall memories watching their little ones go apple-picking at Hidden Hills Orchard. Or take some time to unwind taking drive along the Ohio River Scenic Byway offering stunning views around every twist and turn.